COVER PHOTO: Enki-kan, in Niigata. A classic sukiya-style home in Niigata City, Niigata Prefecture. PUBLISHER'S ESSAY: Avoid the Collector Mentality. In the world of sukiya living, it's a mistake to collect things like lanterns or maple cultivars. Here's why. VIEWPOINTS: "Mistakes by Westerners." Here are a series of essays by Kazuo Mitsuhashi, David Slawson, Kendall H. Brown, Takendo Arii, Peter Bowyer, Dennis Burns, and Tamao Goda. PLANNING & EXECUTION: Mail Order Garden Plans. This article by Asher Browne explains why mail order garden plans are a waste of money. GARDEN LAYOUT: Height Matters. This article by Kazuo Mitsuhashi discusses elevation matters in regard to garden planning. For example, should that stone lantern be positioned up high on the hill or down low beside the water? Read this article to learn more. NATURAL PATTERNS: How Rivers Turn. Curving rivers exhibit some common characteristics. Make your garden stream more convincing by evoking those characteristics seen in the natural landscape. STONE SELECTION & PLACEMENT: From the Same Family. Like siblings, rocks in a garden should look similar - like they all came from the same family. ADVANCED PRUNING: Don't "Ball" the Head. The head of the tree is critical. Don't make it too small, and don't round it into a ball. SUKIYA ARCHITECTURE: Nageshi. These architectural elements add horizontal lines and create a feeling of stability in a sukiya room. They also divide large wall spaces into smaller, more easily "visually digestible" wall sections. A JAPANESE TOUCH: My Sukiya Retreat. This article by Zane Morris talks about building his Japanese-style gazebo and his fabulous sukiya-style backyard. BASIC PRUNING: Removing Large Limbs. There is a careful 5-step process for removing large limbs. Read this and learn how the pros do it. 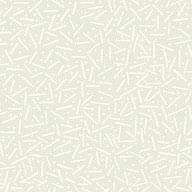 TOOLS, TIPS & TECHNIQUES: Weed Barrier Discussion. For many, many reasons weed barriers are inappropriate in Japanese gardens. Read this article to learn why. LETTERS, Q&A: Bamboo and Other Topics. This 4-page article lists letters from readers and professional answers to their questions. Topics include bamboo plants, digging and transplanting moss, mulching in JN gardens, balcony and deck gardens, tripod ladders, and when (and when not) 3-5-7 stone groupings are appropriate. CALENDAR OF EVENTS: The latest news and events that you can attend. Want to attend a pruning class that focuses on Japanese pruning techniques? How about a workshop on Japanese carpentry or a lecture about Japanese interiors? Check here for listings. SUKIYA LIVING MARKETPLACE. Japanese Garden specialists and other professionals. 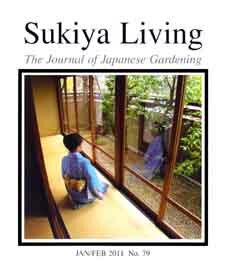 Information about reaching gardeners, carpenters, stoneyards, merchants, and other sukiya living professionals. TRAVEL TO JAPAN: JOJG's Kyoto Walking Tour. Without question, JOJG's walking tour is the very best way to explore Japan's finest homes and gardens. Travel to Japan and join us on this special journey! BACK COVER: "Modern Bijin #12," by Toshikata Mizuno.